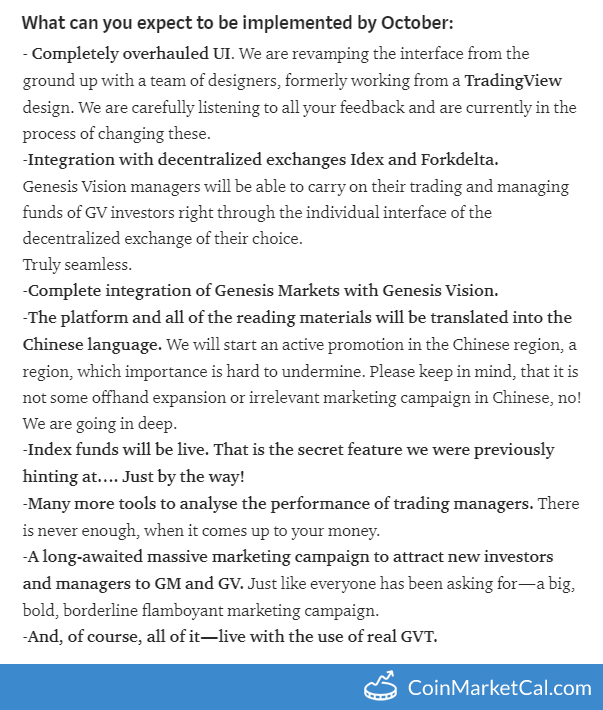 Genesis Vision (GVT) - Events, Price, Market Cap, Supply, Exchanges and more! Genesis Vision aims to be a marketplace for investors, managers and brokers in order to make the financial market globally accessible. 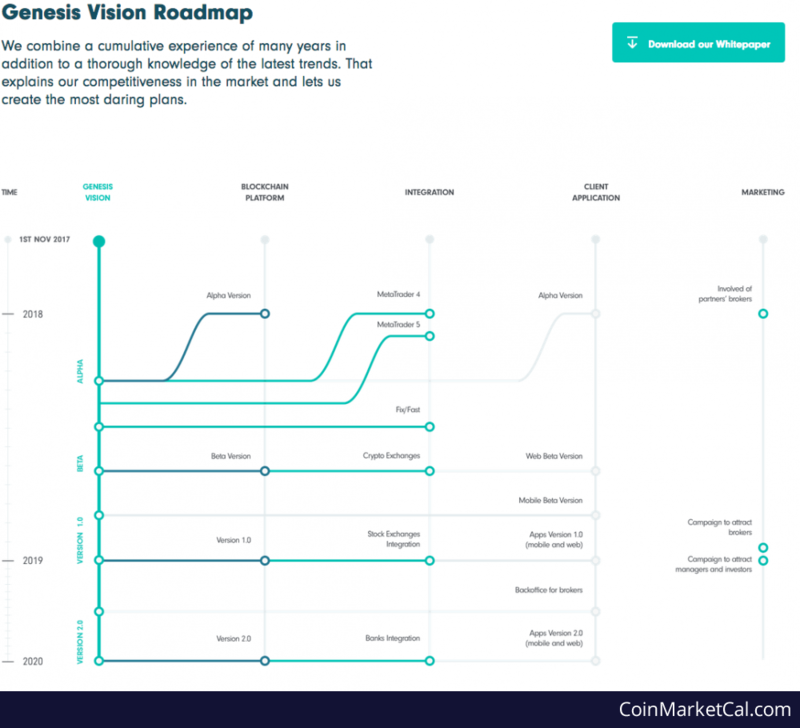 Genesis Vision provides a platform for the private trust management market, by providing a secure link between investors, managers and brokers with the help of blockchain technology and Ethereum’s smart contracts. 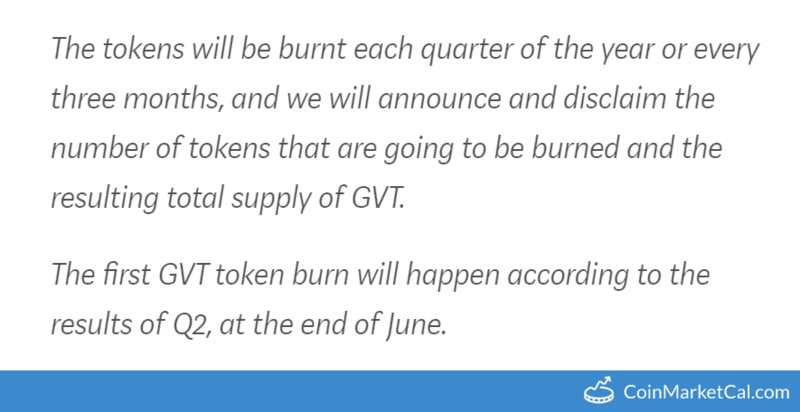 The GVT token is an ERC20 currency token on the Ethereum blockchain that fuels Genevision’s marketplace. 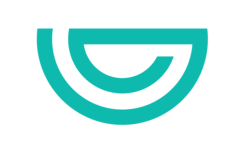 In Q4 2018, Genesis Vision will launch app version 1.0. Marketing B2C campaign launches to attract private investors and traders to platform, which will enter active phase in early 2019. Genesis Vision sponsors largest B2B event of Forex industry in London during Nov 2018. "And we moved the date of the launch of the first version of the product from January 2019 to October 2018." "Long-awaited massive marketing campaign to attract new investors and managers to GM and GV," by end of Oct 2018. "Index funds will be live," by end of Oct 2018. "Integration with decentralized exchanges Idex and Forkdelta," by end of Oct 2018.